This is a dialog type which is visually similar to MessageBox, but have much more customizable options. This dialog is written with WinAPI (no VCL) and it's a preferred dialog in development environments, where you need much options. 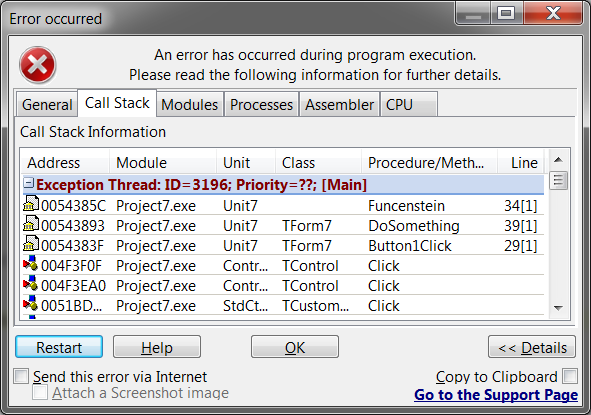 The dialog also have so-called "detailed" form which displays bug report. See this article for more information about bug reports. 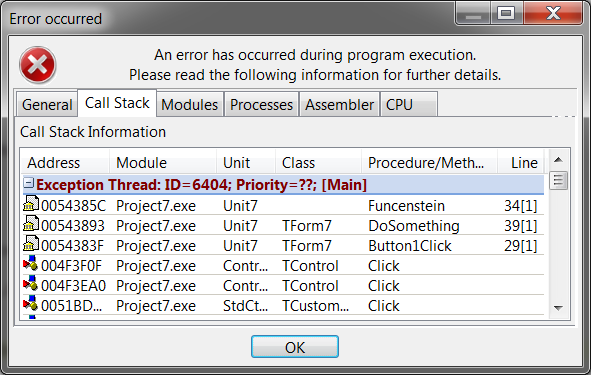 It may be not a good idea to use it for end-user application, since this dialog is a bit too technical, so it may be not very user-friendly for non-advanced users. 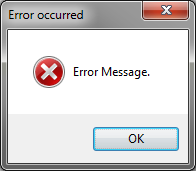 Note: error messages in dialogs are controlled by nested exceptions behaviour options. EurekaLog dialog with "EurekaLog style"